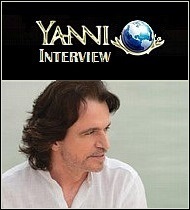 Special new interview in 2014 with international concert and recording music celebrity Yanni. Multi-Platinum selling recording and international concert artist Yanni is a legendary artist known worldwide for bringing professional live music and unifying message to all parts of the world. For over 30 years, Yanni has made his presence known as a leading international concert artist with around one billion admirers of all nationalities. 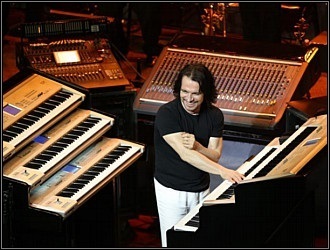 Famous for his concert venues in settings of historical significance, Yanni and his elite orchestra have begun their Worldwide Concert Tour in 2014. 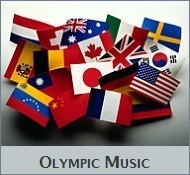 During the 2014 concert season an extensive worldwide tour will include venues covering over 20 countries, including Chile, Argentine, Brazil, UK, Germany, Czech Republic, Ukraine and Russia. Also scheduled later this year are concert venues in the U.S. and Canada, with more dates to be added as the year progresses. Topics covered in this interview are related to Yanni’s newest album Inspirato, a collective project which has taken 20 years to compose and four years to complete. Soon to be released, Inspirato is unlike any other album ever produced. Yanni details the 2014 concert season, with an emphasis on the extraordinary musicians and vocalists in his orchestra. His close relationship with fans of all nationalities and the importance of official Street Team members and Fan Clubs are covered, along with news and his plans for the future. John P. Olsen: Let me begin by thanking you for your time Yanni. It is widely known your yearly concert schedule, with consistently sold out concert venues is demanding to say the least. It’s an honor to present to fans your most current, up-to-date interview, taking place during your Worldwide Concert Tour in 2014 and upcoming new release Inspirato. I am confident many people who have attended one of your earlier concerts, are now anticipating their next opportunity to watch you perform live during the 2014 concert season. For some people this year will be their first chance to attend a live Yanni concert. For the benefit of every concertgoer; can you tell us about any changes you have planned this year, and what attendees will experience during a live concert event in 2014? Yanni: We have listened to what the fans have been requesting and asking us to put into the concert though the social media in the internet. I have introduced some songs that have been not performed for many years into this current tour. 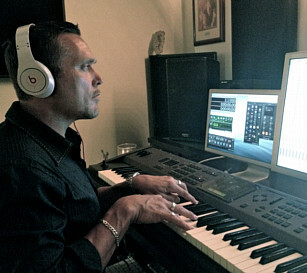 There is music from the very beginning of my career right up my most recent studio album. We have just started this recent tour in South America and the audience reaction was fantastic. John: Clearly, the extraordinary vocalists and instrumentalists in your orchestra are an integral part of the total Yanni concert experience. Would you like to tell us about the artists performing with you during the 2014 concert season? Yanni: I believe that our orchestra is made up of the best musicians in the world. Some of these musicians have been touring with us for decades and the most recent additions have already been with us for over 3 years. Our musicians represent 11 different nationalities on the stage including England, Germany, Venezuela, Cuba, Paraguay, China, Canada, USA, Russia, Armenia and Greece. Some of the featured soloists fans will be familiar with are Samvel Yervinyan (Armenia) on violin, Charlie Adams (USA) on drums, Ming Freeman (China) on keyboards and Alexander Zhiroff on cello. John: The 2014 concert schedule posted at Yanni.com is already an ambitious number of concert appearances, with many more performances to be added later in the year. Given the fact each concert venue is special in its own way, what drives or motivates you and the orchestra to produce an exciting and memorable concert experience for an audience every time? Yanni: Every single concert is different. Each one has a unique experience with the audience and in my career I have never experienced any two concerts that were the same. This coming year we will be touring in over 20 countries and we get a renewed enthusiasm from each new audience. That is the magic of live performances, they are live and never the same. I still get “butterflies” or anxious before every single show. When we perform for an audience, we get so much love from the audience that makes all of us on the stage feel so motivated and rewarded for our effort and this love and relationship with the audience is what keeps us going with such enthusiasm. John: For any person who has attended or watched one of your televised live concerts, it is apparent the caliber of artists and vocalists in your orchestra is unsurpassed. Even to the untrained ear their performances are stunning! 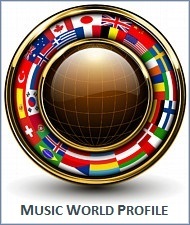 It is easy to tell that you select only the very best musicians and vocalists from around the world. Can you tell us a little bit about the selection process for artists in your orchestra? Yanni: Our history has been that someone in the orchestra refers the new person to us. Each member knows the commitment that is required to be in this orchestra and they understand the chemistry, personality and the skill level that is required. Once we have people referred, they undergo a rigorous audition process and then we put them in with the rest of the orchestra. If the chemistry works and they are of the caliber of character needed, then they join and stay for many years. Thankfully, we don’t find ourselves looking for new people very often. Usually several years pass before we look for new members. John: Recent albums Truth Of Touch & Yanni: Live At El Morro, Puerto Rico have proven to be an enormous success worldwide, having achieved 40 platinum and gold albums and Best Albums of the year at Billboard during your career. Needless to say your millions strong fan base would love for you to produce more releases. I understand the most aspiring project of your life is nearing release, isn’t that right? 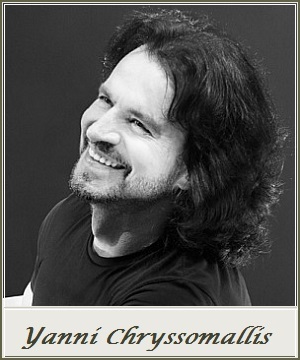 Yanni: Yes, we have a new studio album titled “Inspirato” that is coming out in April of 2014. 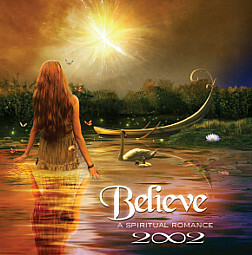 This album took 4 years to record and 20 years to compose the music that inspired it. I have collaborated with Placido Domingo to have vocals recorded to some many of my instrumental songs with the greatest voices in the world including Placido Domingo, Renée Fleming, Vittorio Grigolo, Rolando Villazon, Katherine Jenkins, Russell Watson, Pretty Yende, Nathan Pacheco, Placido Domingo Jr., Lauren Jelenkovich and Chloe Lowery. We also have a new television show that is being completed right now. It should also be ready for release in April 2014. The title is “World Without Borders.” It is a collection of performances and behind the scenes looks at our concert tour over the past 3 years and is taken from concerts from over 20 different countries. John: In your autobiography entitled Yanni in Words, you talk about the creative process in which you compose music. Undoubtedly, music technology has changed greatly from the early years when you first began composing. 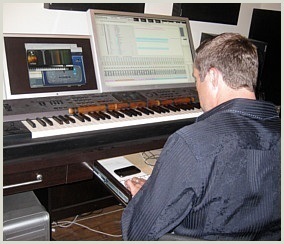 Your studio albums Truth Of Touch & Inspirato were produced with today’s most innovative electronic equipment. To what degree has today’s advanced music equipment and technology influenced, or changed the thought process while composing, in comparison to the way you composed music years ago? Yanni: For me the development of new technology to assist with the recording process has made it possible for me to express a much wider array of the creative aspect of music. I am able to record more efficiently and to adapt and alter the sounds to more closely replicate what is in my imagination. I also have been able to experiment with new sound designs thought technology and many of these sounds were never previously available. For me as a composer this technology has allowed me to more completely express my creative thoughts. John: In your 2003 autobiography, Yanni in Words, many topics about your life are revealed. Have you considered publishing an updated version of your autobiography at some point in your life? Yanni: I think that the time will come in the near future for me to share the changes and new lessons learned over the past decade. In recent years I have been able to travel the world more extensively than ever before in my life and I have been able to conquer new challenges and perform and be educated by different people and cultures like never before. John: Throughout your career, you have shared a close relationship with your fans. It seems you devote so much of your time and energy to please the millions of Yanni fans, which includes membership portals, special events and countless interviews, including our interview today. Why are fans so important to you Yanni? Yanni: The relationship with my audience is very important because the fans give to me more than I could ever give to them. The love I receive from fans along with the knowledge that my music has affected so many people gives me the passion to continue my career. This interaction with the fans is why I have been able to work at my passion for over 30 years now and there is no end or sign of slowing down in sight. I am extremely grateful to all of my fans for this support and encouragement. John: In addition to the official Yanni international website hosts and great staff members I met at Yanni-Wake Entertainment, you also have official groups like Fan Clubs, Street Teams, and organizations that provide an invaluable role by organizing pre-concert events and a variety of official Yanni activities. Would you please tell us about the people in these vital organizations, their role, responsibilities, and who to contact if a person would like to join, and be a part of the Yanni team? Yanni: I am very proud of our street team members and our fan clubs around the world. I believe we have 32 official Yanni fan clubs around the world. I can tell you that these people are incredibly important to what I do as a musician in that they help answer questions, share information and are the back bone of creating a global community centered on the music. It is always an honor for me to travel around the world and meet these people personally. Anyone can join our family by registering at Yanni.com or join our team by emailing: TeamYanni(at)YanniWake.com. John: It is no secret that you and the U.S. based Public Broadcast Service (PBS) share a wonderful connection together for decades. You are recognized as one of the top PBS fundraisers during the non-profit television network’s pledge drives and TV specials, but on the other hand, you and other artists can be thankful for PBS too. In what way has the television Public Broadcasting Service been a positive influence for artists in general and for you personally throughout your music career? Yanni: PBS has been a wonderful partner for many artists in that PBS gives artists the opportunity to present their art in the manner that is true to them and shares it with a huge audience. Without PBS, many artists would have never had this opportunity and may never have realized professional careers. I am thankful for my long relationship with PBS, it has been a significant factor in helping to give me a professional career as a composer and musician. John: You are an international music celebrity whose innovative achievements are many Yanni. 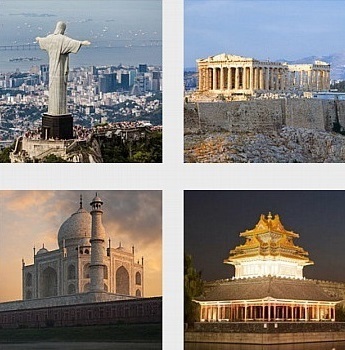 You are perhaps most famous for your groundbreaking, international concert venues at the Acropolis in Greece, Forbidden City in China, Taj Mahal in India, The Kremlin in Russia, and other significant international concert venues. Of your numerous professional or personal successes, what would you say are the two most rewarding moments in your career to date? Yanni: There are so many rewarding moments and for so many different reasons. Recently, I have been very proud of our ability to break into some new markets such as the Middle East in Oman, Bahrain, UAE and Qatar. I also have been very moved by our recent success in South America, specifically Brazil where we have been able to perform several concerts and are continuing to grow our audience. I also appreciate the very intimate and heartfelt experiences realized by meeting many people and coming in contact with many cultures such as helping with the flood victims in Thailand, the adoption of a Panda from the people of China, and my relationship with the International Space Station through NASA and the Russian space program. John: Do you have any personal or professional endeavors you would like to achieve sometime in the future? Yanni: At the moment I am very happy with our plans to continue touring around the world and meeting new people and learning from new cultures. I am sure that in some years from now, this will slow down and I will have other initiatives to explore but for the moment I am living in what is the best time of my life and I am very happy with that. John: While preparing for our interview Yanni, I couldn’t help but think of what an amazing success story your life has been. Every day I am in contact with artists, many of which envision the attainment and level of success in their careers, similar to what you have achieved during your career. Knowing there will be a variety of debuting and seasoned artists reading our interview; can you offer any advice or guidance for musicians in general or artists in the early stages of their music career? Yanni: I believe that as an artist and composer, you must stay true to your dreams and persist through the challenging times. I never had a master plan for how my career would work out. 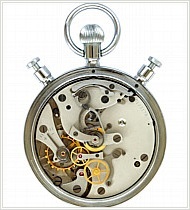 I would just focus on the task at hand and dedicate all of my energy and resources to what I was doing at that time. I never thought about success or money, I only thought about my music and doing the very best I could in being a creative artist. I believe that by putting all of my energy and resources into my music, it led to me being able to have a career as a professional music artist. John: It has been a privilege to present your most current interview in 2014 Yanni! On behalf of your millions of fans around the world and myself, thank you yet again for sharing a moment of your time. Until the day we visit again, is there anything you would like to express to your fans or official team members who have supported you over the years? Yanni: It is because of all of the fans and our affiliates that I am able to continue with my career. It gives me great pride to be associated with all of you and I look forward to meeting with as many of you as possible as we continue to travel the world. Visit the official Yanni.com homepage where you can find 2014 Concert Tour information. 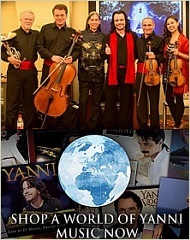 Read the full biographies for the elite team of Yanni Orchestra Members and visit their official websites. To purchase CD albums, DVDs, gift items and merchandise visit the Yanni Store. Find information for the Yanni Community, Street Team, Fan Club and International Affiliate Members at Yanni.com and read my Yanni Section. For current news visit social media sites Facebook and Twitter. Interview photos courtesy yanni-wake entertainment & whit padgett. Big stock photos courtesy sborisov & pius99. Yanni’s orchestra is a truly unique collection of musicians. Yanni has hand-picked each member of his orchestra and has been in search for the world’s top performers to bring you what you see today. He refers to them as the “United Nations” as they come from all walks of life, backgrounds and experiences from all over the world. Yanni brings you on a musical journey that only this group of musicians can attempt. The talents from each member surpass the imaginable, and they are all brought to you on one stage under the guidance of a true modern day orchestrator. 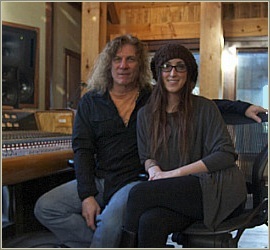 From the USA, Charlie has been with Yanni from the beginning performing on drums in rock bands when they were kids. 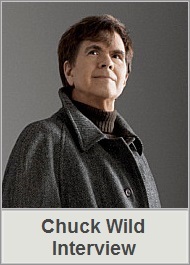 Charlie’s energy, stage performance and stamina gets every audience on their feet all around the world. From Germany, Benedikt has a background in jazz violin and brings his unique style to Yanni’s music. He has been touring with the Yanni orchestra for 4 years. 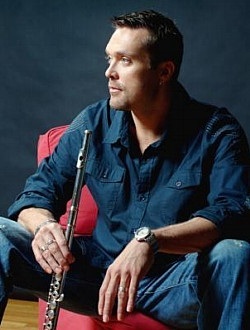 From the USA, Jason has shared his talents as a professor of jazz trumpet at the University of Miami. 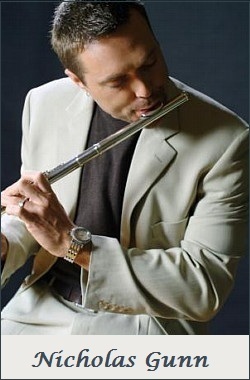 He has toured with Yanni for 4 years and uses his flugelhorn to reach unimaginable notes. 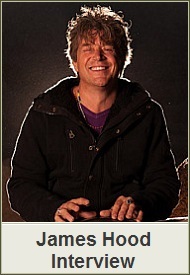 From Cuba, Yoel has been Yanni’s leading percussionist for 4 years performing the congas like no other. He brings an energy and latin flair to stage. From Paraguay, Victor is a unique performer who brings a dynamic injection of unique style to the harp. Victor has been with the Yanni orchestra for a decade. From Taiwan, Ming has been with Yanni for almost two decades touring as the lead keyboardist. Ming’s solos feature his true talents and showcases just how fast and rhythmic he can be on the keyboards. From the USA, Lauren is classically trained at the Manhattan School of Music and has a voice capable of effortlessly hitting notes that no other singer would attempt. Lauren has been with the tour for the past 2 years. From Canada, Lisa’s powerful voice takes on some of Yanni’s most difficult compositions. As singer and songwriter, she brings energy and emotion to the stage. Lisa has been with the tour for the past 2 years. From the USA, James has been performing on his French Horn for over 18 years with Yanni’s orchestra. He maintains the warm, rich undertones throughout the concert events. From England, Sarah has toured all over the world with Yanni. 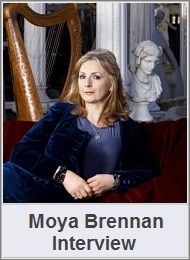 Trained on cello in London’s Guildhall School of Music, she has been seen on the stage with Yanni at every major concert event. From the USA of Chinese decent, Mary plays her “fiddle” bringing warmth and richness with a bluegrass edge – her style and her smile capture the hearts of every audience. Mary has been touring with Yanni for the past 2 years. From the USA, Dana is a widely recognized trombone player who has impeccable tone, accuracy and energy. 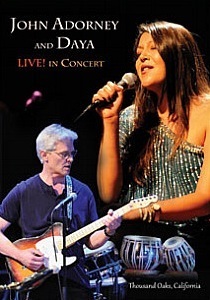 Dana has been performing with Yanni for 8 years. From Venezuela, Gabriel brings a new life to the bass performing runs and scales rarely seen. Gabriel has been with Yanni since 2008 and remains a top performer. From Armenia, Samvel has been widely recognized as one of the world’s premier violinists and has been a star performer among Yanni’s orchestra for the past decade. 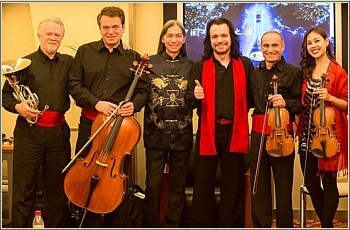 From Russia, “Sacha” has been touring with Yanni for almost 17 years performing at all the major concert events around the world with his cello. Sacha performs with a unique style and incredible talent. Yanni Studio Album Inspirato – Yanni-Wake Entertainment has released press information for Yanni’s new vocal instrumental album titled Inspirato. Included is a special news update for the Yanni Worldwide Concert Tour in 2014. If you are a Yanni fan there is a chance you have already heard the fantastic news about the new Yanni album due for release this spring on April 29, 2014. I received a press release from the Yanni-Wake people today about this breaking news story. Included in the special news announcement is updated information for Yanni’s Worldwide Concert Tour during 2014. Inspirato, released on the Sony Classical Label, is an album which took 4 years to complete, from composing, performing, to a final recording. Teaming up with record producer Rick Wake and celebrity opera star Placido Domingo, Inspirato features premium vocalists from around the world. 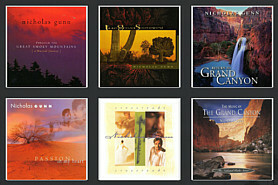 This contemporary instrumental vocal album has 13 songs with each song featuring one of twelve vocalists, whose biography can be read at Yanni.com. Another important aspect of this master opus from Yanni is the album composition itself, taken from a deeply personal viewpoint. The creative stimulus for Inspirato is drawn from the past 30 years of his career as a celebrity artist and a true-to-life, personal story of opera star Pretty Yenda, from South Africa. To me, its clear Yanni is at the top of his game as a professional composer and performer so this personal, “from the heart” album is guaranteed to leave a lasting impression on the listener. Fans are already expressing elation over the special announcement at Yanni’s Facebook page, and expect the anticipation to grow as we reach full bloom on the April 29, 2014 release date this spring. In concert news, if you check Yanni.com you will also see an expansive list of new concert dates are now announced. Beginning in March 2014, Yanni will begin a worldwide tour covering over 20 countries, which includes the U.S. and Canada. And more dates will be added to this extensive tour as the year progresses, so check for more updates on the Yanni Tour page. For many people this will be their first chance to experience the extraordinary music performed by one of the greatest international concert artists of our time. After covering Yanni and his orchestra for years now it seems I do have a sense for developing stories about the artist. 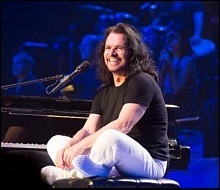 Awhile back, I remember looking at a press photo of Yanni practicing on a concert piano at the Kravis Center. 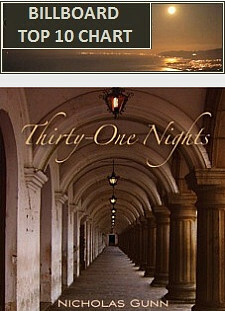 I now see the Kravis Center photo (top left photo) is the album art cover selected for Inspirato. I thought there may be a news story coming up at the time, but nothing like this, so I guess everyone is a little surprised by this latest development. Considering the new album and additional tour updates for 2014, this is fantastic news indeed! The purchase price listed for the Inspirato audio CD is $14.97, which is a real bargain price in my view. The composition and recording of this particular album is rare – plus the mega collection of the world’s finest vocal artists will surely put Inspirato at the Best Sellers Chart at Amazon and Top 10 Chart at Billboard! Visit Yanni.com/Inspirato for details and to pre-order before April 29, 2014. 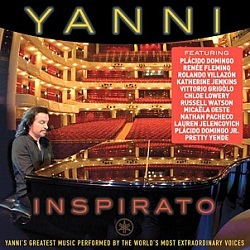 You may also pre-order prior to April 29, 2014 and purchase Inspirato by Yanni at Amazon.com. Concert photos and cover art courtesy yanni-wake entertainment. 9. II Primo Tocco (First Touch) – Plácido Domingo Jr.
Electronic Dance Music innovators (We Are) Nexus heralded as one of the hottest new EDM groups by top news organizations. 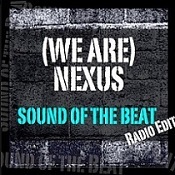 If you are into the sounds of Electronic Dance Music (EDM) and are already informed about one of the finest new EDM groups in recent times, then you know the outstanding new group called (We Are) Nexus is beginning to acquire a sizeable fan following for their ingenious original club mixes. 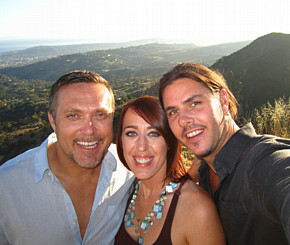 Composer and producer Nick Gunn and vocalist Carmen Rainier are the names behind the (We Are) Nexus team, both of which are professional artists famous for their albums in the instrumental and world music genres. (We Are) Nexus is quickly gaining speed in the EDM market by their innovative sound, plus numerous press articles by respected news outlets are publicizing more than positive reviews of the group including articles by CBS News, NBC News, Boston Globe and Miami Herald. These reliable news sources have made a unanimous assessment to the effect that (We Are) Nexus is one of the hottest new groups in Electronic Dance Music. The first single by the team titled Broken and newest song single named Sound of the Beat features an exciting mix of trendy vocals by Carmen Rainier set to a blend of tech house and engaging world music rhythms. 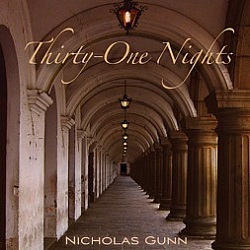 Having produced 14 albums and sales of over 2 million, multi-platinum artist Nicholas Gunn brings a new level of expertise to the EDM market. While (We Are) Nexus is no way connected to a state-of-the-art smartphone or the newest electronic technology product there is a solid connection, defined by the innovative principles of the artists involved, and the high quality of EDM they produce. Their expertise and success as instrumental artists is clearly reflected in the cleverly arranged songs. Visit the professional team Nick Gunn and Carmen Rainier at WeAreNexusEDM.com and sample new EDM songs in their music section. Photos courtesy wearenexusedm.com. 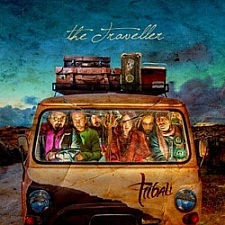 Malta Music Awards 2013: International world music band Tribali wins Best Album honors for two consecutive years at the Malta Music Awards with The Traveller album. It’s been another successful year for the Maltese band Tribali by their first place win for Best Album at the Malta Music Awards taking place at the Malta Fairs and Conventions Centre on February 3, 2013. The Malta Music Awards, held the day after the Malta Eurovision Song Festival, presented Tribali a Best Album Award for their 2012 release The Traveller, which made the second consecutive year in a row Tribali claimed the victory. 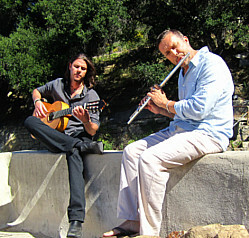 The Traveller is a vocal instrumental album with 13 songs in the world music category, which highlights the band’s unique range of traditional and ethnic influences. 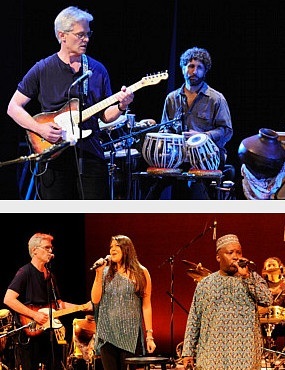 The band incorporates a variety of instruments including ethnic instruments like didgeridoo, electric sitar, murchunga, guimbri, cahon, hang and tabla, with traditional guitars, keyboards, vocals, violin, trumpet, drums and percussion. The compilation album Festa is another Tribali release from 2012 featuring a 13 song collection of classic songs from Tribali’s earlier releases. During earlier years their music was available to local music stores in Malta. 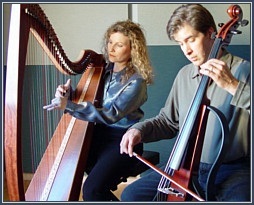 Now it appears the two most recent albums by Tribali have largely contributed to the introduction of the band’s unique blend of new age, world and traditional Maltase Folk music to the world. Likewise the two most recent albums by Tribali have transitioned the group from the status of a favorite local band into the international spotlight as serious contenders in the world music scene. It’s always an honor to be quoted by a respected news source like The Times in Malta, but the real honors do go to Tribali for their second Malta Music Awards victory in a row. Given the brazenly unique music of the Maltese band Tribali, clearly they deserve an encore for the second time. 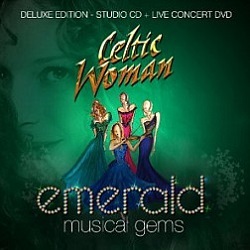 To find concert information and sample or purchase albums visit TribaliMusic.com. If you would like to read The Times newspaper article of the recent win for the Maltese band Tribali visit TimesOfMalta.com. Cover and photos are courtesy tribalimusic.com and timesofmalta.com. New Vocal Instrumental Album Review: The new album in 2013 by Josh Groban titled All That Echoes debuts at #1 on Amazon Best Sellers Top 100 list. For persons familiar with multi-platinum vocalist Josh Groban it’s understandable why his sixth studio album All That Echoes has made its debut at #1 on Amazon’s Best Sellers list. In addition to the top position on the Best Seller list, All That Echoes currently holds the #1 position of the Pop, Vocal Pop, Rock, and Classical categories, all of which are much deserved. The singer, songwriter and record producer is famous for his amazing talents as a vocalist as everyone knows. This time Josh Groban proves the merits of his superstar status yet again by the creation of an incredibly beautiful vocal with instrumentals release like no other. All That Echoes is the follow-up to an equally wondrous album Illumination from 2010, yet Josh Groban test his talents as a songwriter having written seven of the twelve songs on his 2013 release. The five popular cover songs likewise are wonderful versions with verses sung of the highest quality so expect nothing less than the best. All That Echoes is listed in the Pop genre category at Amazon, but music crossing into multiple genres is more than commonplace. After listening to the entire album for this review it sounds primarily an easy listening vocal album but this naturally has little to do with how this album is perceived artistically. Nearly all of the first customer reviews at Amazon have given this the uppermost rating, of which I couldn’t agree more. Resonating with fans from all corners of the globe, I believe you will find All That Echoes is a stunning new release that rings true from the first note to the last. The 12 songs on All That Echoes are; Brave, False Alarms, Falling Slowly, She Moved Through the Fair, Below The Line, E Ti Promettero, The Moon is a Harsh Mistress, Un Alma Mas, Happy in My Heartache, Hollow Talk, Sincera, I Believe (When I Fall in Love it Will Be Forever). 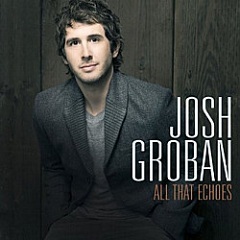 Visit the artist at JoshGroban.com and sample or purchase his new 2013 release All That Echoes at Amazon.com. 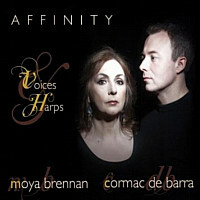 This release is available in audio CD or digital downloads at major music retailers. 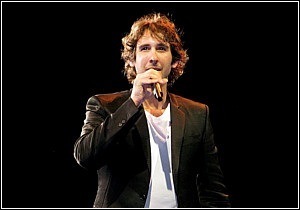 Photo courtesy joshgroban.com. Alphaville News 2013: Newest Alphaville album with working title of Strange Attractor scheduled for release in 2013. For fans of the synthpop group Alphaville this year is one of anticipation by the news of a brand new CD album by the international electronic music sensation. For nearly 30 years the Germany based group Alphaville has endured as a favorite band for millions of electronic music fans worldwide. Alphaville songs like Forever Young, Big in Japan & Sounds Like a Melody brought them prominence early on, but even today they continue to produce new hit songs that quickly become fan favorites. Their most recent album Catching Rays on Giant from 2010 is a good example. It’s an impressive studio release with 16 of the best Alphaville songs on a single album. Strange Attractor is the production or working title for Alphaville’s new album for 2013, revealed during an interview with founding vocalist Marian Gold. The release date is unknown at this time but we may be hearing more soon. Marion Gold also said Strange Attractor, being recorded in Sweden, is unlike any other album Alphaville has ever produced. I couldn’t help but think it may be unlike any album the electronic megastars have released, but one thing we can count on is the Strange Attractor project turning out to be another exceptional album by a fascinating band that gets better with each passing year. Current band member lineup is Marian Gold, Martin Lister, David Goodes and Jakob Kiersch. For more information and future concert tour announcements visit Alphaville.info. Photo is courtesy alphaville.de. Martin Luther King Jr. & Elvis Presley Tribute Song single by country music legend Pam Tillis & Kris Thomas. The good people at television media and internet music video company Rive Video Promotion sent me an inspiring tribute song video for our enjoyment, just in time for civil rights leader Martin Luther King Jr. Day. This song video titled Two Kings is a tribute to the enduring legacy of Martin Luther King Jr. and Elvis Presley, two of the most iconic figures in modern American history. This tribute song honors what both men stood for and their beliefs and dream for a better America. The song Two Kings is performed by country music legend Pam Tillis and singing songwriter Kris Thomas. If you would like to purchase this great song single by two great artists you can find Two Kings at iTunes. Artists, bands and record labels can find information about Rive Video production services for video airplay on stations like MTV, BET, CMT and other media at RiveVideo.com. 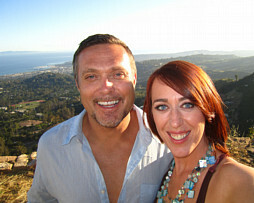 Photo of Pam Tillis & Kris Thomas is courtesy rivevideo.com. New Vocal Instrumental Album in 2013: Pre-release album review for Union Road by multi-platinum selling artist Diane Arkenstone. For multi-platinum selling recording artist Diane Arkenstone a renewed sense of freedom can be discovered by composing and performing contemporary music in one of her many well versed styles. Early in life it was clear Diane Arkenstone was blessed with the gifted abilities of a natural born artist and composer, which has led to many achievements during each phase of her music career. Adaptable to a variety of music categories her natural talent and adaptability has never been more clearly pronounced than her new vocal instrumental album titled Union Road, due to be released on her Neo Pacifica Recordings record label on March 26th 2013. I can tell you upfront the 11 free flowing casual melodies shed new light on one of our favorite contemporary artists. 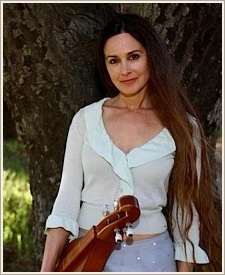 The multi-talented Diane Arkenstone is a popular artist most people will recognize, especially those who favor the Celtic, Native American, instrumental, new age, and world music categories. In addition to her own releases like the Billboard Charting Jewel in the Sun, and top radio chart recording, The Best Of Diane Arkenstone, she has also been a member of associated groups most people are familiar with. Groups like Adventure Cargo, Ah Nee Mah, Earth Trybe, Enaid, Marquis Ensemble, Middle Earth Orchestra, are like our favorite chapters in the Diane Arkenstone songbook. 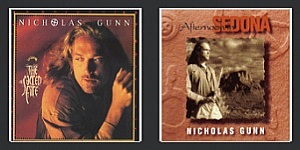 Many more outstanding albums made our preferred song list as the duo with former husband David Arkenstone. 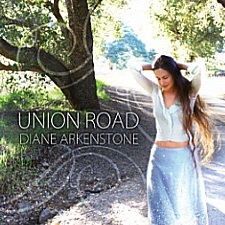 Union Road is the newest album by Diane Arkenstone you may soon be calling your favorite like I have. Union Road is an instrumental vocal album with 11 select songs in the folk ballad tradition. Performing acoustic guitar, dulcimer, kalimba and percussion, Diane Arkenstone’s songwriting talents as a vocalist and lyricist are on display, highlighting her capabilities as a contemporary singer with charming lyrical optimism on nine of eleven songs. Nearing perfection by the casual relaxing atmosphere, Union Road is a brilliant vocal instrumental album with novel lyrics you are sure to love. Keep your eye on Diane Arkenstone, whose sense of freedom when creating original new music is sure to transport you on a route that can only be described as adventuresome. The 11 songs on Union Road are: Little Cup of Coffee, When I Fall, Crossing The Water, Corner of Nowhere, Just Kicking Around, Beautiful Bones, Lost in You, Your Mama is Gone, Union Road, We Can Live Forever and Dulcimer Suite. 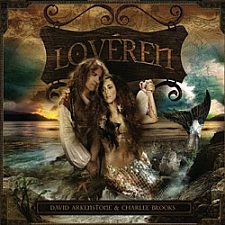 Backing vocalists and instrumentalists in are Mader, David Arkenstone, MB Gordy, Chad Watson, Eric Rigler, Bruce Watson, Charlee Brooks and Jane George. 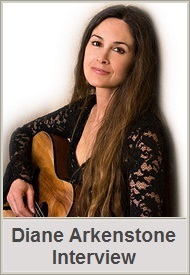 Until the date March 26th when Union Road is released on CD and digital download, visit DianeArkenstone.com to sample and purchase music or visit Diane Arkenstone at Amazon.com. 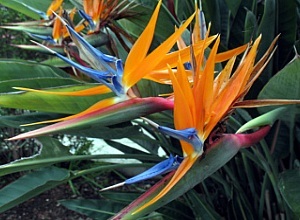 There are also plans for a concert tour in 2013 so watch for an upcoming concert news announcement. 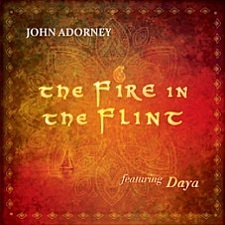 Album design by Rachna Kanikar and artist photos by Bill Sparkes. New Album Review – Boundaries of Imagination by Bryan El. The year 2012 wouldn’t have been the same without another new album, EP or new songs by the sensational electronic music composer Bryan El. For the artist from Belgium who specializes in electronic music it has now become clear after his third release there is a conscious effort made on his part to focus on quality verses quantity, with his classical symphonic music. Two years in the making, this is proven to be the case behind his quality driven 13 new songs on his album in 2012 titled Boundaries of Imagination. 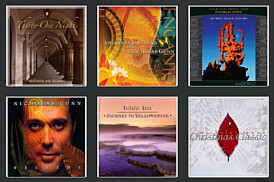 Bryan El’s earlier albums Out of this World from 2008, and Spiritual Evolution from 2010, are some of the best electronic albums in the classical symphonic, music categories. With the introduction of high-tech electronic equipment and newest synthesizers arrives a new-found sense of empowerment, especially when placed in the hands of a great composing artist like Bryan El whose electronic music is brilliantly delivered, time and again with jaw dropping effect. Boundaries of Imagination is comparable to Out of this World & Spiritual Evolution by the unique Bryan El signature sound recognizable from the beginning song, but there are several distinctions with the 13 new electronic songs from his first two releases. Boundaries of Imagination is perhaps lighter or more refined than the first two, but a dazzling album focused on intricate detailing and deep melodic phrasing fans are sure to enjoy. 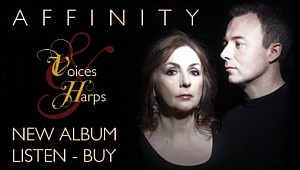 Another point of interest I thought significance is the song Angels Cry which features the elegant vocalist Amethyste, whose singing clearly delivers the lyrical verses written by Michael Leonard and Bryan El in wonderful fashion. It may be unclear if Bryan El is shifting more toward the territory of electronic pop or not, but no matter which direction he travels going forward, it’s like the title of his dazzling new hit album implies, it will arrive at the outer boundaries of imagination. 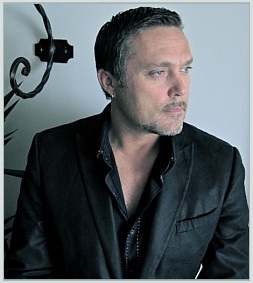 You may sample or purchase albums on Bryan’s page at AMAdeaRecords.com, and visit the artist at BryanEl.com. Cover artwork is courtesy Davy El. Michael Cretu – Making Enigma MMX The Social Song. 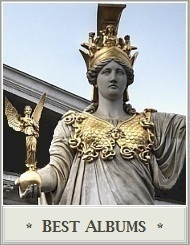 The fan friendly musical project Enigma is well known for offering fans trendsetting new projects. The Social Song is but one example of the total Enigma experience. 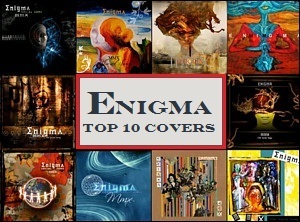 The Top 10 Player is a new feature for fans to share the masterful projects by Enigma founder Michael Cretu. Enigma’s Top Ten Player is another new interactive way to enhance the overall experience by enabling visitors to rate their favorite Enigma songs and videos, which results in a Top 10 Audio and Top 10 Video hit list selection for visitors to listen or watch full length streams. Enigma MMX (The Social Song) designed by founder Michael Cretu was a unique way to generate new excitement by allowing fans to participate during the entire collaboration process over a 3 month period. The Top 10 Player is another fan friendly new project. While the worldwide media event for Enigma MMX (The Social Song) is now a reality, visitors can now sign up for free membership to Enigma’s Top 10 Player that gives members exclusive access to a full length, top hit list of songs, videos and more. Visit EnigmaSpace.com for the latest news, new music and to watch the official YouTube video of Enigma’s MMX The Social Song. Shown below is an official YouTube video around 30 minutes long with Michael Cretu, during which he and others describe Making of Enigma MMX (The Social Song). 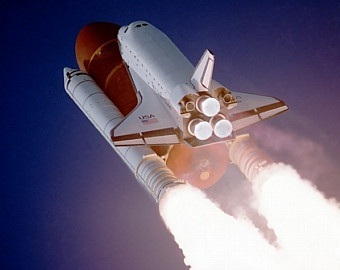 Sarah Brightman News – Dreamchaser Album Release in 2013 and Spaceflight to the International Space Station aboard Soyuz Rocket. For international music celebrity Sarah Brightman the year 2013 will surely be one of the most memorable years of her esteemed career of professional vocalist, actress, songwriter and dancer. With 2013 arriving before long, look for her next starring role as a space cosmonaut included in her incredible list of lifetime achievements. 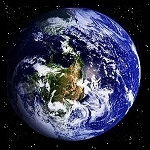 In a live news broadcast Sarah Brightman provided details of her upcoming flight to the International Space Station in 2013 during a press release in Moscow, Russia. There will be more about this special announcement soon, but I can tell you Sarah Brightman will begin cosmonaut training, after getting word she passed preliminary evaluation tests. You may watch the official news release at her newly designed website where she describes this extraordinary aerospace voyage as a dream come true. 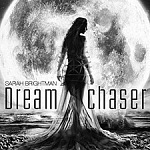 Dreamchaser is the new album by classical crossover superstar Sarah Brightman, set to be released on April 16, 2013. The first song titled Angel and second song One Day Like This are two exclusive song singles you can sample from her highly anticipated new album. The entire list and title of all songs is not given at this time from what I can tell, but first song Angel is as exquisitely performed as you might expect. The first single song Angel is a sensational melody that is wholeheartedly captivating by the contemporary vocal and lyrical propensity for which Sarah Brightman is famous. Sarah Brightman’s new album Dreamchaser is surely destined to be one of the hottest new releases in 2013! With 180 Gold and Platinum awards in over 40 countries worldwide, including her #1 Chart topping hit in the UK titled I Lost My Heart to a Starship Trooper, Dreamchaser could be her newest album to rocket into the stratosphere! Discover the new SarahBrightman.com website to download the first song titled Angel and share your thoughts on the news in the fan community forum upon membership. After you sign up, fans may also access exclusive news, photos, videos and new music samples. 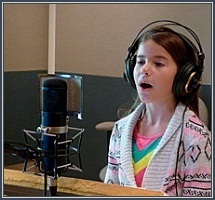 Below is the official music video for first song Angel, from her upcoming 2013 album Dreamchaser. 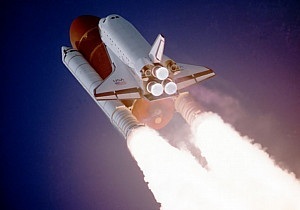 Space Shuttle photo courtesy NASA – Big Stock Photo Rkasprzak.